Ever since I started college I have been drinking coffee much more frequently. Throughout my high school years, my favorite place to get my coffee fix was Starbucks? Why? Because it was the popular place to sip on a mocha frapp while catching up with family and friends. 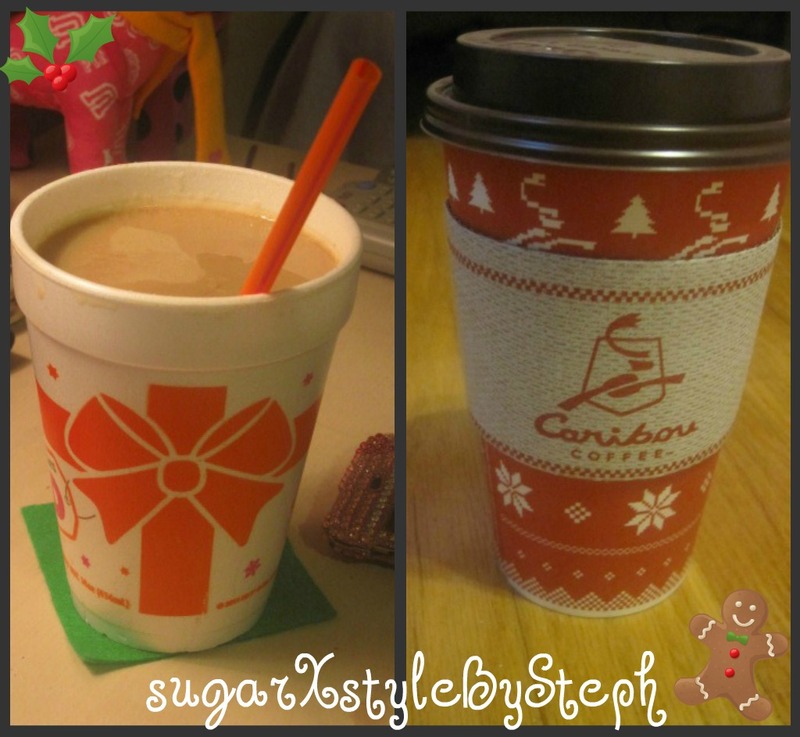 Lately, I’ve been venturing out and trying some of Caribou Coffee’s drinks. I usually don’t order the same thing twice at Caribou since I am still “exploring” their menu. Today after school I picked up a Dark Mocha; simple and classic – not too sweet since dark chocolate is used instead of milk or white. And I must admit, I really enjoyed sipping on this “uncomplicated mocha drink”! If anyone is curious, my favorite Holiday drink is still the peppermint mocha from Starbucks. I don’t recommend the peppermint mocha from McDonald’s at all…while it’s much more affordable, the peppermint syrup just tastes so artificial I can barely swallow it down.